A communiqué released by the Holy See’s Press Office on Saturday states that Pope Francis invites “all the faithful of all the world, to pray the Holy Rosary every day” during the Marian month of October. The Holy Father has decided to invite all the faithful, of all the world, to pray the Holy Rosary every day, during the entire Marian month of October, and thus to join in communion and in penitence, as the people of God, in asking the Holy Mother of God and Saint Michael Archangel to protect the Church from the devil, who always seeks to separate us from God and from each other. In recent days, before his departure for the Baltic States, the Holy Father met with Fr. Fréderic Fornos, S.J., international director of the World Network of Prayer for the Pope, and asked him to spread this appeal to all the faithful throughout the world, inviting them to conclude the recitation of the Rosary with the ancient invocation “Sub Tuum Praesidium”, and with the prayer to Saint Michael Archangel that he protect us and help us in the struggle against evil (cf. Revelation 12, 7-12). [We fly to Thy protection, O Holy Mother of God. Do not despise our petitions in our necessities, but deliver us always from all dangers, O Glorious and Blessed Virgin]. With this request for intercession the Holy Father asks the faithful of all the world to pray that the Holy Mother of God place the Church beneath her protective mantle: to preserve her from the attachks by the devil, the great accuser, and at the same time to make her more aware of the faults, the errors and the abuses committed in the present and in the past, and committed to combating without any hesitation, so that evil may not prevail. 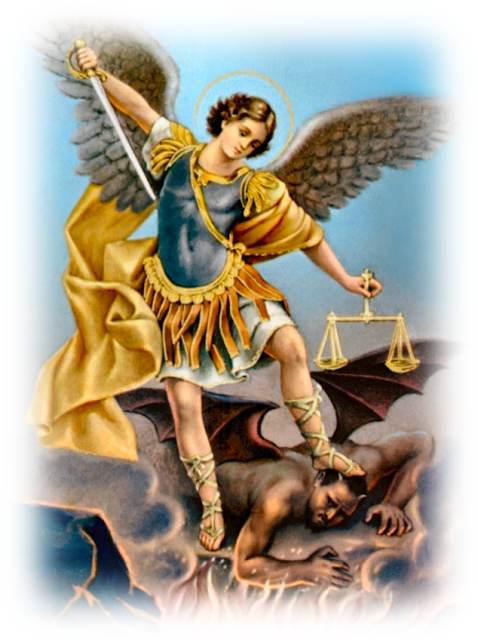 [Saint Michael Archangel, defend us in battle, be our protection against the wickedness and snares of the devil; may God rebuke him, we humbly pray; and do thou, O Prince of the heavenly host, by the power of God, cast into hell Satan and all the evil spirits who prowl through the world seeking the ruin of souls. Amen].